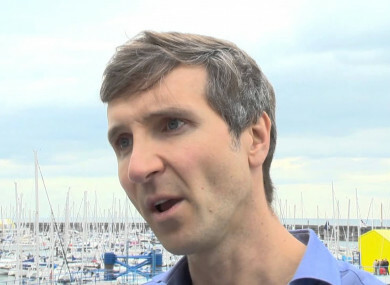 Fraser Robertson was known for his coverage of Ireland international football games in recent years. Robertson passed away on Wednesday. SKY SPORTS NEWS presenter Fraser Robertson has died at the age of 47. The Scottish journalist is remembered fondly for his coverage of Republic of Ireland international games throughout recent years. Ireland manager Mick McCarthy, who’s tenure in charge of the national team Robertson covered, paid tribute on Wednesday. Former Sky Sports presenter David Tanner also remembered his friend on Wednesday, saying: “I’m heartbroken that Fraser Robertson, my oldest pal in journalism, has died. “We met at Napier Uni as kids and grew up together at STV & Sky. He’s always been there, always wearing that big grin. “A fine journalist with an eye for a story, never happier than when offering help to teammates: generously sharing his time, vast knowledge and ideas. “Fraz loved sport and TV, working in both gave him structure in life, especially after his comeback from major illness. Former Ireland goalkeeper Shay Given, who represented the national team between 1996 and 2016 also paid his respects. “Sorry to hear the news of the passing of Fraser Robertson,” Given tweeted. David Jones, who currently presents with the network, added: “So sad to have lost Fraser Robertson so young. Email “Sky Sports News presenter who covered Ireland football internationals passes away aged 47”. Feedback on “Sky Sports News presenter who covered Ireland football internationals passes away aged 47”.